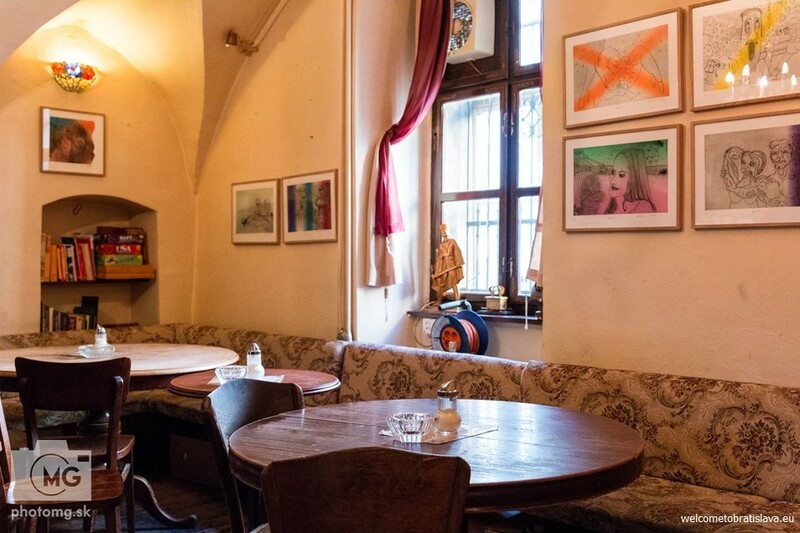 If planning to avoid tourist crowds and visit a place popular mostly among Slovaks and well-inhabited expats, do not forget to stop by in Next Apache. 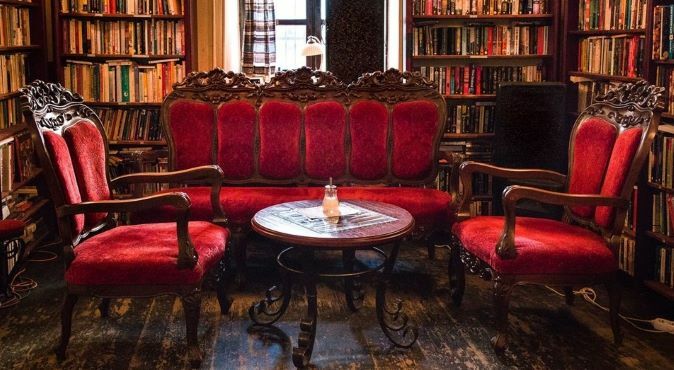 Established by a Canadian living in Bratislava, Next Apache has a unique atmosphere of artistic and intellectual world with old furniture and second hand books. Next Apache is based on the Panenska Street, in the proximity of the Grassalkovich palace – get out at the bus stop “Hodzovo namestie”. WHY IS NEXT APACHE SPECIAL? There is a funny story going around on how the name Next Apache was created. It is owned by a Canadian Ben who when coming to Slovakia and learning Slovak, wrote down a phonetic transcrition of the Slovak phrase „Nech sa páči“ (meaning „here you are“) as „Next Apache“. As crazy as it looks, the pronounciation of both indeed sounds very similar! 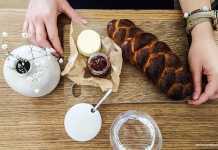 It is a very laid back place with relaxed atmosphere, ideal for meetings with friends, secret dates or less formal business meetings. 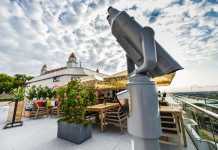 There is also a terrace open in summer, great for gigs or cultural events. 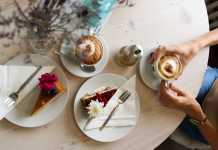 When entering the place, you have a feeling that it functions already for decades, as business inherited from generation to generation with authentic grandma-styled furniture, old walls, ancient floors and dimmed lights. This is however not true and even if Next Apache is a stable part of Bratislava coffee scene, it is certainly not that old. There are two rooms to enjoy a cup of hot beverage or beer in. First room is somewhat lighter, with a bar and sets of board games. 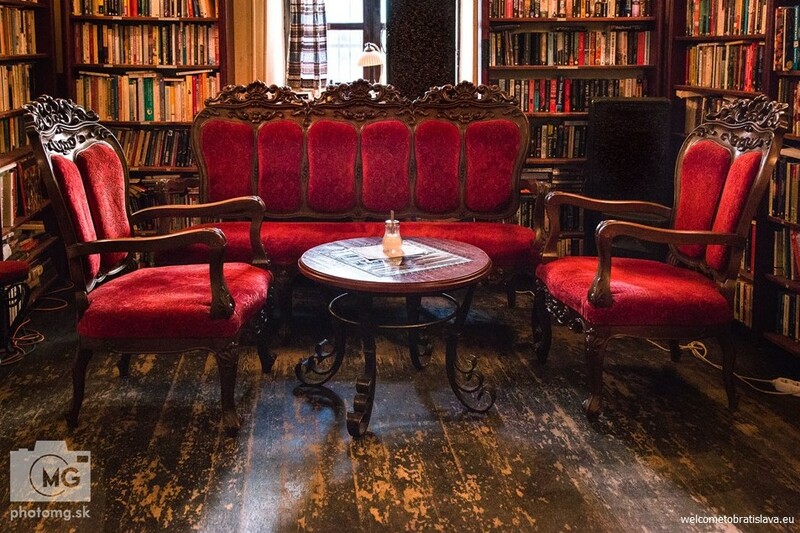 The other room is more elegant, with fancy old-school red tapestry furniture and books. Instead of regular tables, you are having the drinks served at old sewing machines :) How cool is that! 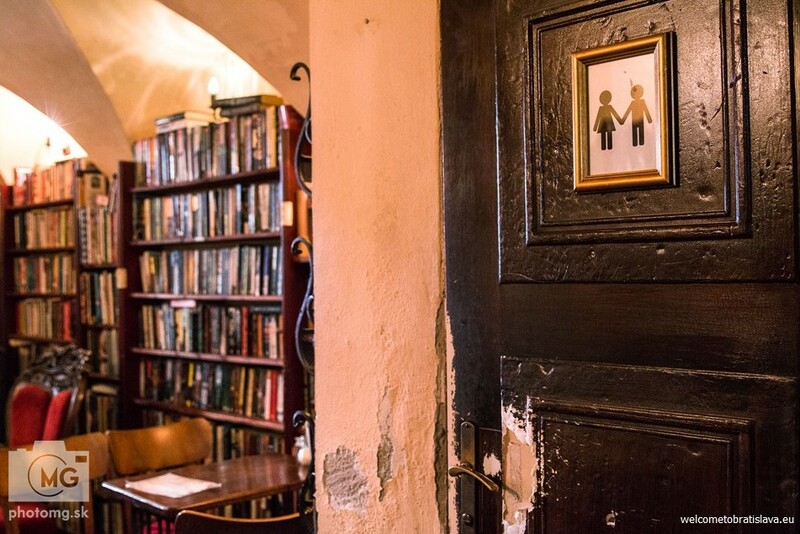 The books in both English and Slovak serve not only as decoration but play a vital part since the place is also a second hand bookstore. So you can either enjoy them while drinking your daily caffeine dose or buy them for home reading. You can also find interesting magazines here, including a bunch about art! It is important to remember that this is a coffee or drinking place. No food is served here. 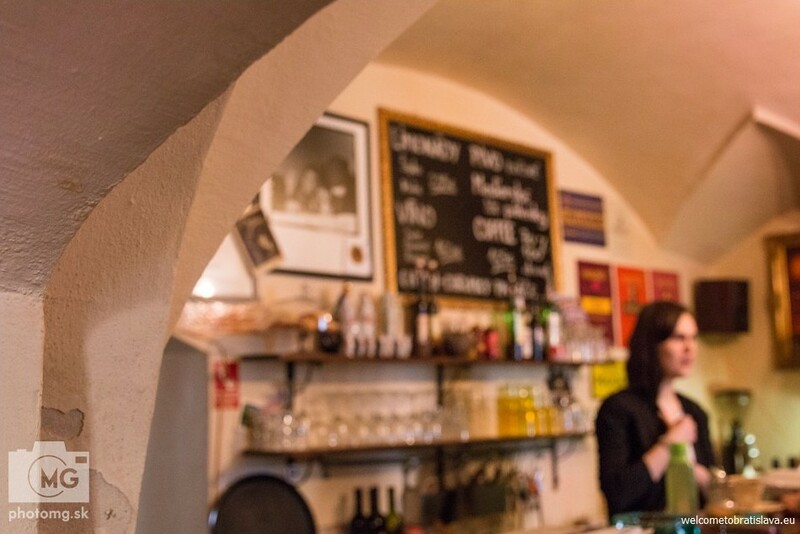 You can find basic beverages on the menu, including coffee, tea, ale, beer and alcoholic shots, not to mention Slovak traditional drinks as borovička (made out of juniper berries), hruškovica (pear alco drink) or Tuzemsky um (Slovak rum).